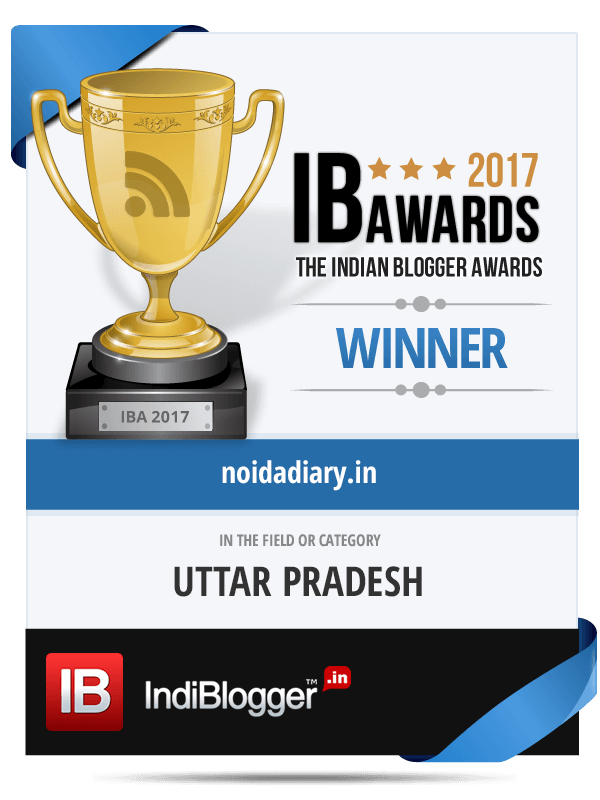 Happy Streets - Noida's Own Ciclovia - Noida Diary - Rediscover Noida With Us! Happy Streets is the rechristened avatar of Raahgiri. The event is back and how? Every Sunday morning in Noida starting March 20 the streets will be closed to traffic while people of Noida will come out to walk, bike, run, skateboard and have fun. The earlier avatar – Raahgiri in Noida was launched last year with the celebration of first International Yoga Day. 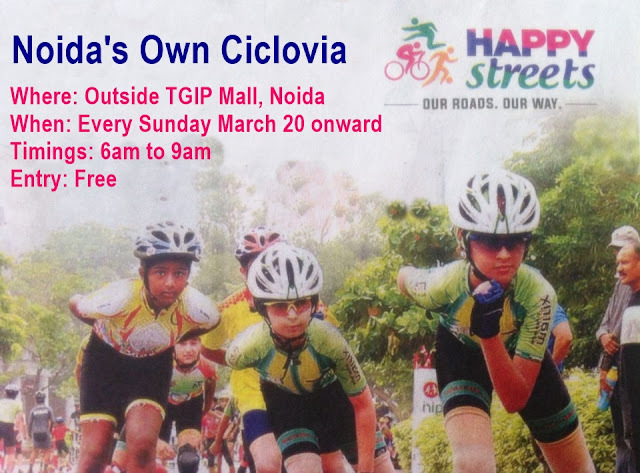 Happy Streets is Noida’s very own Ciclovia. Ciclovia or the Open Streets Movement was started in Bogota, Columbia in 1970’s. Ciclovia, meaning ‘cycle path’ in Spanish, is a weekly event where roads are temporarily closed to traffic and converted into car-free environments for families to walk, bike, run and play together. It is now a worldwide event extending to Brazil, Peru, Mexico, Costa Rica, Argentina, Israel, Belgium, Canada, Australia, New Zealand and United States. In India it has already debuted in multiple cities with Raahgiri earlier and now in Happy Streets avatar. Ciclovia is accompanied by Recreovia. Recreational activities are arranged side by side making the roads motorized vehicle free. The activities around health and fitness, dance and music, sports and other hobbies are structured to make the mornings fun for family. This weekly event is a great opportunity for events organizers, fitness experts, hobby class providers and sports coaches. The Track marked for Happy Streets will start from petrol pump to the end of service lane. Rent-free cycles would be available but you would need to carry an id for registering to ride. Pledge your Sunday mornings to health and fitness. Be there on Happy Streets! This is really awesome… one of a kind na? This 'Happy Street' concept is very good. We had one sometime back in Bangalore. Absolutely Archana. It is a great gift to people of Noida. True Indrani. It is great…the energy and joyfulness we feel at such events is unmissable. I have read about this event being held at Bangalore and other parts of the country. Yes…I too find it great having attended similar events in Noida and Delhi last year. Thanks for the read, Somali. ? I had heard about the Nodia Ciclovia from my friends. Nice to read about it.